Our starting position might be familiar. We. Love. Chocolate. If one keeps wanting to eat chocolaty delights, one needs a really good reason. That’s why we created a bonbon that has a built-in excuse – because the BerryBon’s fruity filling is not only full of natural antioxidants, but also has a healthy dose of vitamin D3. An unexpected combination, isn’t it? That’s where our line comes from: Unexpect Everything! When should you have BerryBon? Create a comforting ritual for starting your day: start with green tea and a BerryBon, so you have a healthy start. Get a break and get energized! 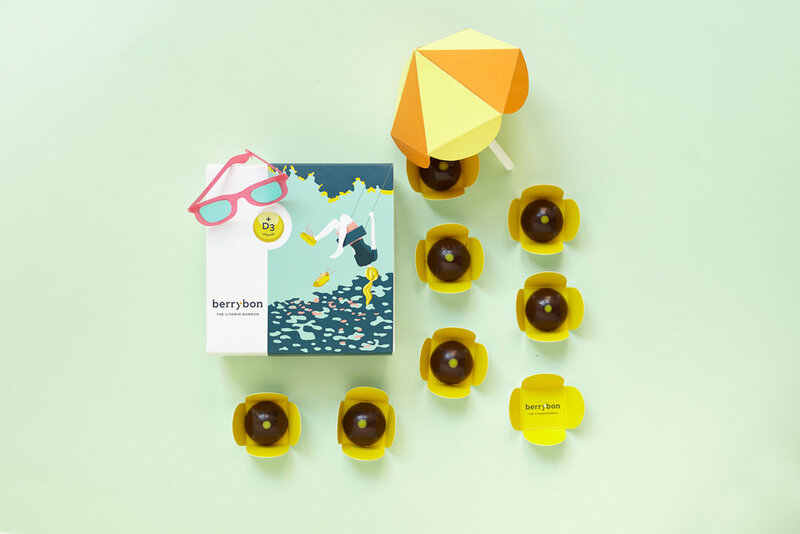 You can slow down with BerryBon even during the day, because a bite of sunshine and the taste of summer fruits always come as a welcome surprise. In the evenings exercise some moderation – but only because the excellent quality chocolate in BerryBon can invigorate you even at the end of a long day. The health-conscious – because this is practically a forest fruit mix in chocolate coating, and it even hooks you up with vitamin D3. The kids – because this super tasty vitamin bomb covered in chocolate is as if it was made for them – which partly happens to be the case.